Society6 Poisson Thai Duvet Covers King: 104" x 88"
Society6 Poisson Thai Duvet Covers King: 104'' x 88'' by Society6 at Thai City Deals. MPN: s6-3833157p38a46v343. Hurry! Limited time offer. Offer valid only while supplies last. Society6 Poisson Thai Duvet Covers King: 104'' x 88'' by Sibylle Dodinot. Cover yourself in creativity with our ultra soft microfiber duvet covers. 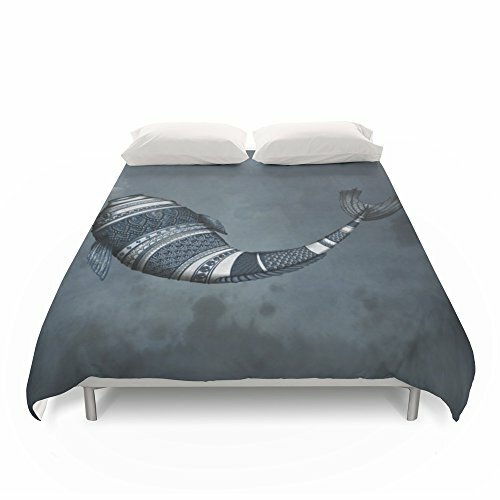 Society6 Poisson Thai Duvet Covers King: 104" x 88" by Sibylle Dodinot. Cover yourself in creativity with our ultra soft microfiber duvet covers. Hand sewn and meticulously crafted, these lightweight duvet covers vividly feature your favorite designs with a soft white reverse side. A durable and hidden zipper offers simple assembly for easy care - machine washable with cold water on gentle cycle with mild detergent. Available for King, Queen and Full duvets - duvet insert not included. *Queen duvet works for Twin XL beds. Society6 Thai Mandala Duvet Covers King: 104" x 88"